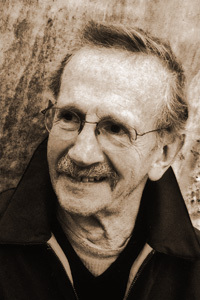 Philip Levine is the author of sixteen books of poetry, including, most recently News of the World (2009), Breath (2004) and The Mercy (1999), all from Knopf. His books have received many awards, including the Pulitzer Prize in 1995 for The Simple Truth and the National Book Award in 1991 for What Work Is (both also from Knopf), as well as a National Book Award in 1980 for Ashes: Poems New and Old (Atheneum). Levine’s works of prose include So Ask: Essays, Conversations and Interviews (2002) and The Bread of Time: Toward an Autobiography (1994), both from the University of Michigan. He edited The Essential Keats (Ecco, 1987), and co-edited and translated two books of poetry: Off the Map: Selected Poems of Gloria Fuertes (Wesleyan, 1984) and Tarumba: The Selected Poems of Jaime Sabines (Twin Peaks Press, 1979). Levine has received the Ruth Lilly Poetry Prize, the Harriet Monroe Memorial Prize for Poetry, the Frank O’Hara Prize, and two Guggenheim Fellowships. He served as chair of the literature panel of the National Endowment for the Arts and he was elected a Chancellor of the Academy of American Poets in 2000.